4 seasons, 85 episodes, 14 Emmys (including one for Outstanding Drama Series) and so many tears! thirtysomething premiered Sept. 29, 1987, on ABC, and took the drama series format and let it rest on characters and relationships more than overblown story devices. With a feel of being a TV version of The Big Chill, the show was a critical and fan favorite for its four-season run on ABC. Creators Ed Zwick and Marshall Herskovitz would go on to have a hand in shows like My So Called Life and Once and Again, and most recently were showrunners on the latest season of Nashville. Ken Olin had been seen in television series like Falcon Crest and Hill Street Blues, but playing thirtysomething's Michael Steadman made him a TV star. Olin remained an on-screen presence on shows like Alias, Brothers & Sisters and, most recently, Zoo, but he's also made a name for himself behind the camera and is currently an executive producer and director on NBC's This Is Us. Could anyone else but Mel Harris have played Hope Steadman, new mother to Janie and wife to Michael? Probably not. Harris was Hope in every sense of the word and made her problems (finding the right baby sitter, getting back to the work force, dealing with marital issues) so relatable that you couldn't help but always root for her. And while Harris has popped up on a plethora of television and film projects over the years, fans loved seeing her playing a wealthy target by con artists on last year's Hulu series, Shut Eye. At the start of the series, Gary (Peter Horton) was a free spirt who occasionally slept with the college students he was teaching, but once he met Susannah (Patricia Kalember) and had a baby with her, he had to approach being an adult like never before. However, spoiler alert, just when one character (Nancy) survived cancer, Gary was involved in a car accident and was killed, shocking audiences. Like co-star Olin, Horton continued acting over the years in TV and film, but has also moved behind the scenes as producer and director on series such as Grey's Anatomy. Yes, Gary had a past with Michael's artsy photog cousin Melissa (Melanie Mayron), but as much as fans wanted them together, things just never lined up for the pair. Melissa had her share of loves over the years and saw her career thrive (remember the episode where she photographed Carly Simon's new album cover?). After directing two episodes of thirtysomething, Mayron steadily worked as both actor and director up to the present day on shows like Jane The Virgin, where she's served in both creative roles. The series caused a stir with a groundbreaking 1989 storyline featuring Melissa's gay friend Russell (David Marshall Grant) in bed post-coitus with Peter (Peter Frechette). The men never touch in the scene, but talk about losing friends to AIDS, and who they have and haven't told they're gay. Still impactful to this day. Elliot Weston (Timothy Busfield) was his own worst enemy at the start of the series. He screwed up his marriage to Nancy and then, realizing his mistake, fought hard to get her back (which he eventually did). And while his ad firm with Michael didn't survive, the guys bounced back working for the egotistical Miles Dentrell (David Clennon). Busfield won an Emmy in 1991 and, no surprise, also directed several episodes of thirtysomething and has kept busy as actor and director, most recently directing episodes of NBC's The Night Shift. It's no wonder Patricia Wettig won Emmys for three of the show's four seasons in her role as Nancy. Nancy started out with little identity outside of being a wife and mother, but her split from Elliot opened up her life by getting a children's book published (with son Ethan). Once she reunited with Elliot, things looked promising until she faced her own mortality when cancer struck. Even viewers had assumed she'd die (not Gary instead), but remission came around, and Nancy lived happily ever after. (If you didn't know, Wettig and Olin were married before the series and are still together to this day). Wettig would play against type as a more selfish, conniving character on Brothers & Sisters and as POTUS on the original run of Fox's Prison Break. Ellyn Warren (Polly Draper) was trying to find her own way through life while her BFF Hope tried to find her way as wife and mother. Ellyn had a successful career in local government, but her personal life? Well, it was always a bit of a mess! She was involved with a co-worker (Terry Kinney) and a married man (Richard Gilliland), but finally found love after a blind date with Billy (Erich Anderson). Emmy-nominated for her role, Draper would go on to create/write/produce/direct the The Naked Brothers Band for Nickelodeon, which starred her sons, Nat and Alex Woolf. This Is Us is one of the biggest hits on network television, but the fact that it's a character-based drama with no big hooks (the time jumps are so fluid and non-intrusive that they're just a part of the show's fabric), is a testament to what makes it stand out in a cluttered TV landscape. That said, this isn't the first time a television drama with similar format and themes captivated television audiences. 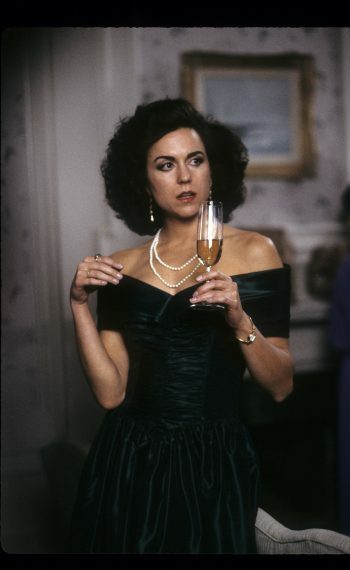 On Sept. 29, 1987, thirtyomething premiered on ABC, and it remains a show that could be seen as the gold standard of character dramas, even as it hits its 30th anniversary. The set-up of thirtysomething is simple, with a group of seven friends (some married, some single) dealing with life, career and love in Philadelphia. While some critics dismissed the show as whiny, since early episodes focused on finding the right babysitter, dealing with an overbearing mother or balancing the checkbook when money is tight, the show also dug deep with story and characters that struck a chord and the show is still talked about today. 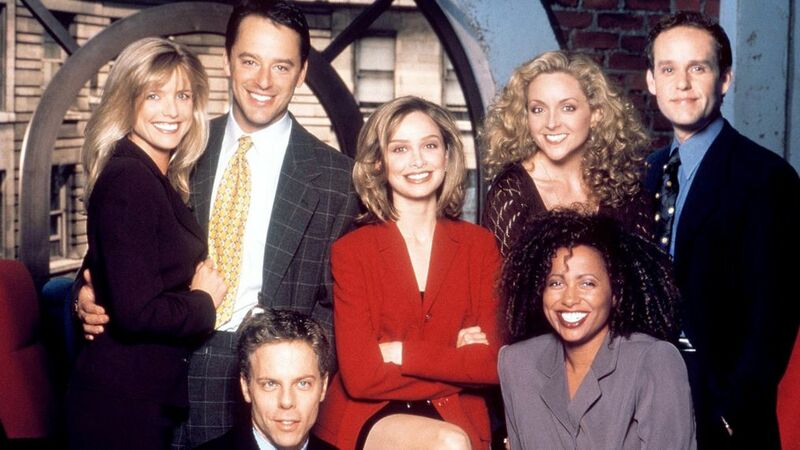 It's been 20 years since 'Ally McBeal' made Calista Flockhart a star. Check out the photo gallery above to relive the thirtysomething characters and storylines that broke new ground and had us reaching for our tissues, just as This Is Us does every week (perhaps not coincidentally, given how thirtysomething star Ken Olin is now part of the behind-the-scenes creative team of the current NBC hit).